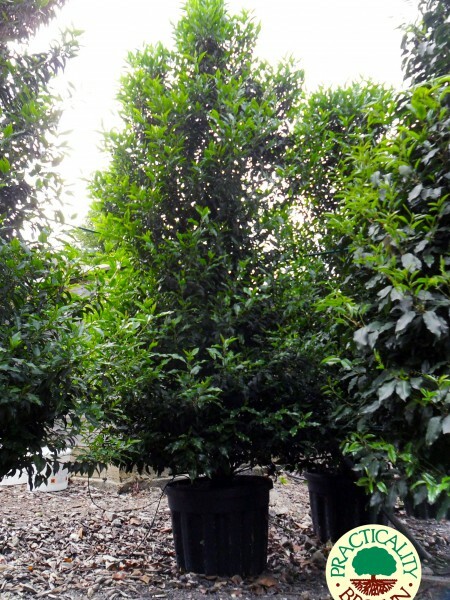 The Portuguese Laurel is commonly thought of as more attractive than the Common Laurel. This is due to its more slender leaves, which are around 9 cm, elongated and noticeably serrated. It also has longer racemes, which can grow up to 25 cm that host the small, white, sweet-smelling blossom. After flowering in the summer, this Laurel produces conical, deep purple fruits, which, although look stunning against the greens of the tree, should not be eaten due to their toxicity. 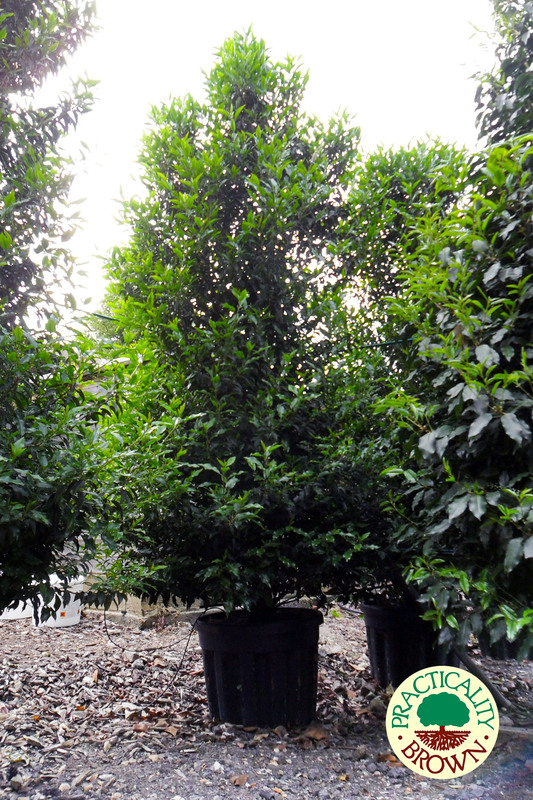 It is widely used for hedging, but can also be a worthy, stand-alone tree. The RHS has given this tree an Award of Merit.